Raymond was awarded Subcontractor of the Year by The PENTA Building Group for exceptional safety performance in 2018. 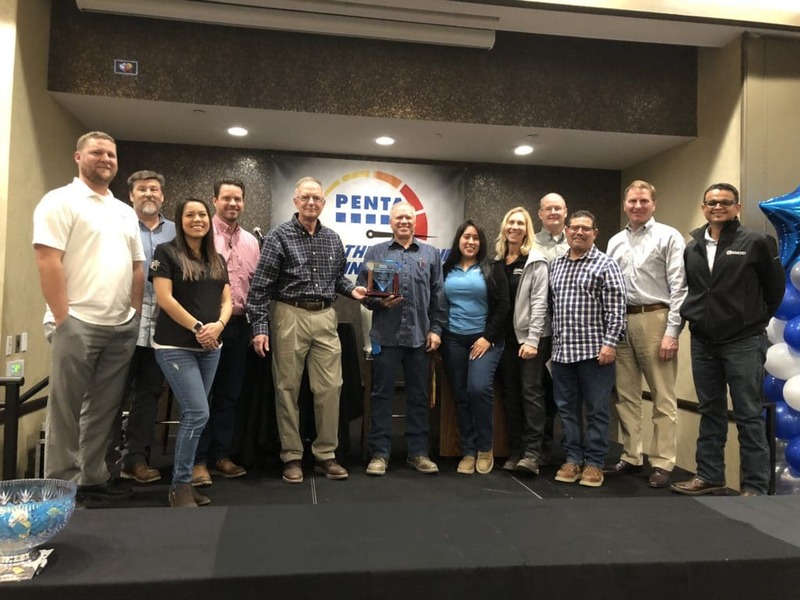 The award was accepted at PENTA’s 2019 Safety Kick-off in San Bernardino, where over 500 attendees came to discuss safety goals and initiatives for the coming year. The annual event ensures safety as the top priority for PENTA and their subcontractors and partners. Raymond is currently on the San Manuel Casino project with PENTA, performing the exterior framing, sheathing, EIFS, weather barrier, thermal insulation, slab edge safing, joint sealants, and metallic paint, as well as the interior framing, drywall, head of wall, and paint.